The Dell™ PowerVault™ MD1200 direct-attached storage array is the second generation of our low-cost, high-capacity expansion enclosure that improves density, versatility, and performance1 to enhance support for mainstream and capacity-intensive applications. 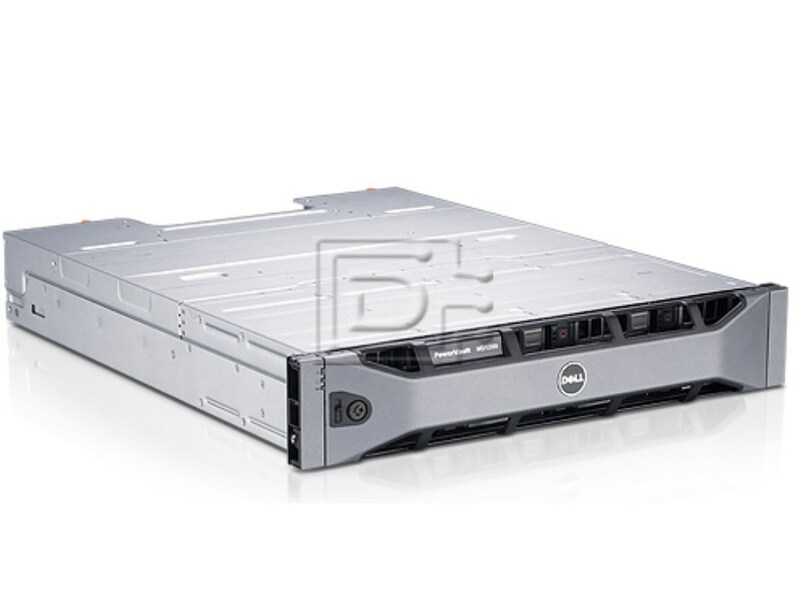 The PowerVault MD1200 offers seamless expansion for Dell™ PowerEdge™ servers with the PERC H800 HostRAID adapter and gives customers the most drive flexibility of any of Dell’s direct-attached storage arrays. Easily expand your server capacity: This expansion array can support twelve 2.5-inch or 3.5-inch SAS HDDs and SAS SSDs in a 2U array and expands up to 8 arrays behind a single PERC H800 HostRAID adapter. Versatility and flexibility to meet most business needs: With the ability to mix 2.5-inch and 3.5-inch enclosures behind a single PERC H800 HostRAID adapter and support for 2.5-inch drives2, PowerVault MD1200 delivers capacity and performance to support most customer deployments. Support for 2.5-inch and 3.5-inch drives in PowerVault MD1200. Ability to mix 2.5-inch and 3.5-inch enclosures behind a single PERC H800 HostRAID adapter. Ability to mix and match 7.2K (nearline), 10K, and 15K RPM SAS Hard Disk Drives (HDDs) with Solid State Drives (SSDs). This includes SAS HDDs that support Self-Encrypting Drive (SED) technology. Access and accuracy of data is key to success for any business. The PowerVault MD1200 has been engineered to maximize uptime and the security of your data. Redundant Path with I/O Load Balancing: Even if a single cable path fails from one port of the PERC H800, you will continue to have access to your data through the second port. Self Encrypting Drives (SED): With drive-level encryption, if a drive is removed from its storage system or the server it is housed in, the data on that drive is encrypted and useless to anyone who attempts to access it without the appropriate security authorization. Additionally, SED supports Instant Secure Erase of drives which permanently removes data when repurposing or decommissioning drives. Hot Swappable Drives: With hot swappable drives, you can remove and replace drives even when your system is operating; no need to turn it off and no need to reboot—new drives are available right away. The configuration of the PERC H800 enables the software to recognize all storage as a single unit, helping to increase reliability and fault tolerance. Dell OpenManage Storage Manager software can manage both the external array and internal storage, streamlining storage management through a single, common interface. This helps reduce resource load on the system, and enables easier navigation for the user. The PowerVault MD1200 leverages the same 2.5-inch and 3.5-inch drives as 11G PowerEdge servers and the same power supplies and fans as the PowerVault MD1220, reducing the cost of spares.